It looks like Electric Cars are finally delivering some upside surprises. Tesla Motors is in the headlines today with the first Model S being delivered in China and BMW is getting even better acceptance than expected by the German auto-maker so far. We are at the tipping point when the mass adoption of Electric Cars is becoming the reality. "Now we can see that BMW is following the trend and will make Electric Cars in J/V with Chinese automaker. China is opening its largest auto-market in the world for Electric Cars and pushing the world's major automakers to share their technology in J/V enterprises. All government incentives for Electric Cars in China are applicable only to the EVs produced in China." To reverse the old Field of Dreams quote, they are coming, so BMW is building them. All indications are that US demand for the BMW i3 plug-in will be larger than initially expected. As a result, the automaker is upping production at its German factor by more than 50 percent in advance of stateside sales, Automotive Newssays, citing BMW boardmember Harald Krueger. BMW has started making about 100 i3s a day, up from its previous daily rate of about 70 units. So far, BMW, which is expected to begin sales of the i3 in the US later this month, has made about 5,000 i3s. BMW spokesman Dave Buchko confirmed in an e-mail to AutoblogGreen that the company was boosting production of the i3 based not only on US demand but on worldwide demand, but he declined to be specific about BMW's new production rate. 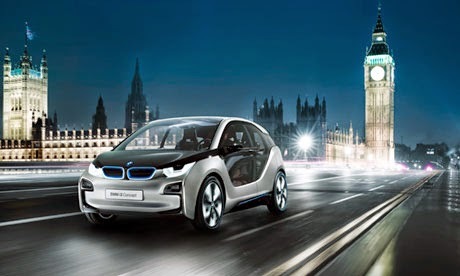 BMW started selling the i3 in Europe in November and had racked up a six-month waiting list by early February. Last month, Norbert Reithofer, chairman of the board of management for BMW, estimated that the company would be making a cool 100,000 i3s a year by the end of the decade, and that the global automotive market would support that production level. Check out our First Drive of the i3 here."